With the battery pack details settled, I had to find a good charging solution. Most folks seem to purchase an off-the-shelf Zivan, Manzanita Micro, or Delta-Q battery charger. These chargers top out around 3kW-5kW of power, which means, to charge my 24kWh pack, it would take 8 or 5 hours respectively. They also cost $4k-$6 which is just way to much to spend on a charger! 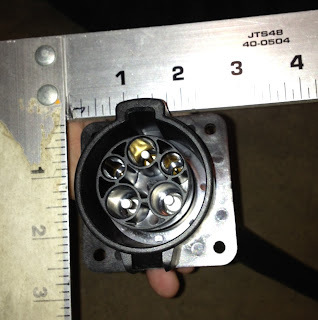 I'm taking a leap of faith and building an open source charger rated for 120/240V AC input and 10kW output. This could charge my pack from empty to full in 2.4 hours! I bought a kit of parts to save some time on chasing down the somewhat obscure high-power components. I also picked up a SAE J1772 compliant connector left over from a project at the office. 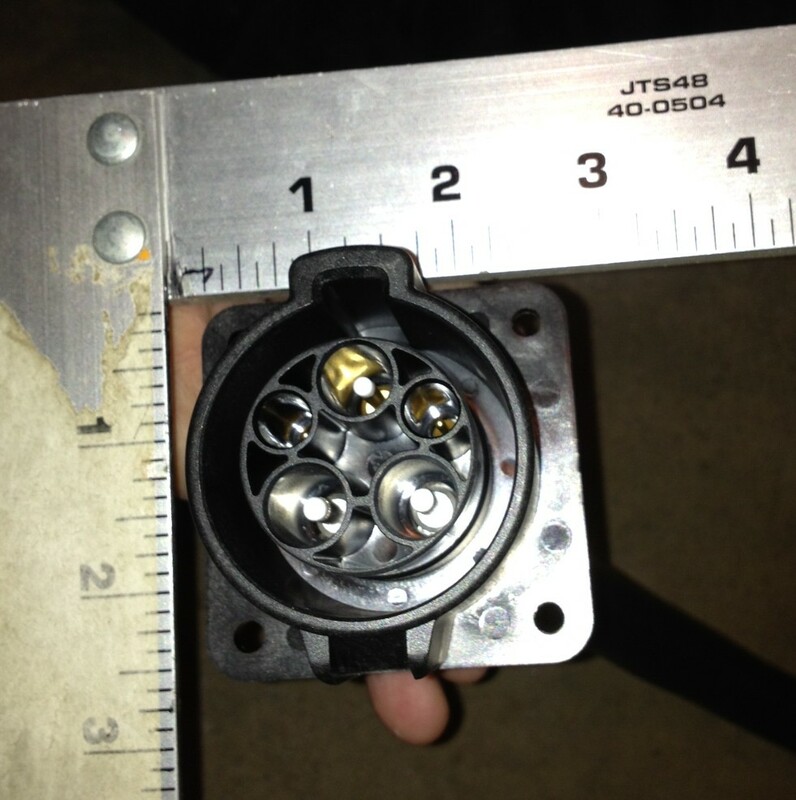 This connector will be used to charge the car when traveling about town. The USA has established the SAE J1772 connector as one of the national standards. There are 3 peak AC charge levels defined, Level 1: 120V 16A (1.9kW), Level 2: 240V 32A (7.7kW) and Level 2: 240V (19.2kW). My car will support the Level 1 charging off of normal outlets and Level 2 charging up to 10kW. (240V 42A). Here is a picture with some size references to show how big it really is. The plan is to replace the existing Porsche fuel tank filler tube and cap with this new plug.